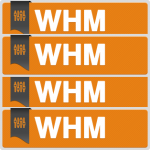 These WHM tutorials, Web Host Manager tutorial videos are designed to give you an overview of the different functionality of WHM, how to use it, and how its backend works on the parts we manage for you that you will never ever need to worry about. There is far more to it than just what you see here, but this is a small insight into the graphical user interface. You will need to know how to use WHM if you get started as a web hosting reseller. If there is ever anything that you are not sure about, or not covered in these WHM tutorials please ask us as we love to hear from our customers and help you. WHM v11 general account usage.